This magnificent prequel to A Telling of Stars is a saga of epic sweep, deeply realized characters, and page-turning suspense. The Silences of Home explores the gulf between official and unwritten accounts of history, and the ways in which individuals, knowingly or not, shape the events of their time—events that pass into myth…or silence. 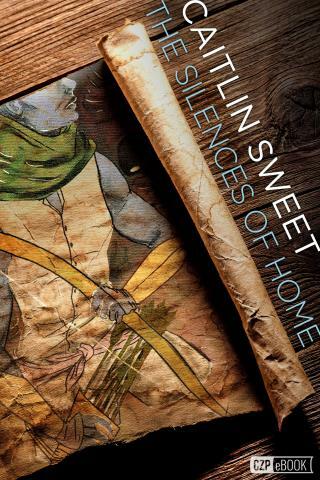 In the hands of a lesser writer, such a proliferation of characters, cultures and initially separate plot lines might seem self-indulgent or distracting, but Sweet knows what she’s doing. Her large cast of humans and Others (whether gilled, finned, blue-skinned, or quasi-satyrs with horns and hooves) is both distinctive and recognizable in their passions, flaws, motivations, and personal styles; by making them real to us, she fuels the book’s dramas of love and hate; political assassinations and raw murder; invasion, rebellion, revenge; innocence and the savage impact of experience…As The Silences of Home passes from order into chaos, the title takes on various meanings, some heart-wrenchingly direct. Though it doesn’t end with complete disaster – after chaos, order is bound to reassert itself in some form – it avoids the standard tropes of closure: order restored and dangling plot threads neatly knotted or cut short in preparation for a sequel. Instead of the stylized doings of heroes and villains with their inevitable aftermaths, this fantasy feels remarkably like life.